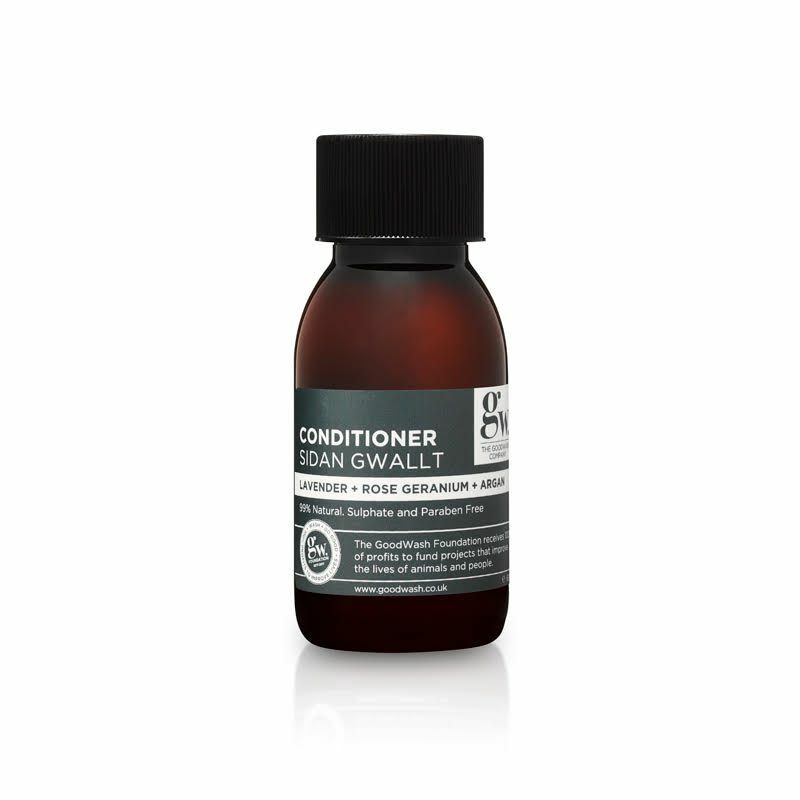 The Goodwash conditioner is formulated to improve strand resistance, targeting tresses for a nourished shiner look and feel. We use the finest natural plant extracts including Argan and Shea to improve vitality. After just one wash you will notice the difference. Beautifully packaged in Welsh slate grey with minimalist design. 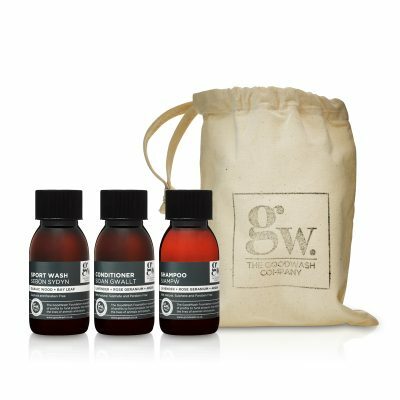 Bring a touch of Welsh class to your bath room or weekend wash bag. Our essential oils of lavender + rose geranium + argan will leave your hair and your soul totally replenished. Hand bottled in a compact 100ml the perfect size for a mini adventure, nourish your soul and your hair with our SIdan Gwallt perfectly translated to ‘hair silk’. 99% Natural. FREE from Sulfates, Parabens, SLS, SLES. This product is not tested on animals. UK Vegan accredited. All packaging fully recycled (and recyclable) with FCA marine grade paper.